The ribbon cable repair is spectacular, particularly given the story/circumstances that go with it. Looks like an interesting bit of damage though; any ideas on how it came about? Some other good projects on the above site but as I believe in preserving old hardware not impressed with this particular project. I am an I.T. Bod in a hospital, the paper clip and staple are tools of the trade. Thomas however, belongs in the space program. I salute you sir. cause of the trace failure. borrow one from another floor if need be). Another even more likely possibility: The ribbon cable went to a label printer, to print credit card receipts. I agree it would be highly irresponsible to do such a thing on any life dependent equipment. But believe it or not, those pieces of equipment are rarely managed my IT. Not really. 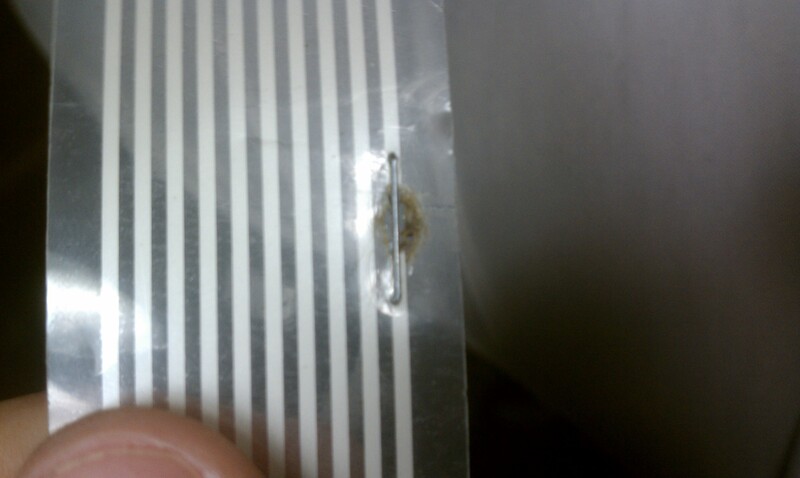 Putting a staple in the wire to restore conductivity is hardly the same as bypassing a safety device. Anyplace would be lucky to have an “ingenious” person like Thomas. There are too many people that can’t tell the difference between a fuse and a conductor. They sould be terminated. I would much rather have somebody that knows how to make my critical equipment work in a pinch…See what I did there. It’s deliberately meant to be “antagonistic”. If it’s a low level printer – who cares ? ones were dependent on the device. I’d rather have a staple between me and death than have nothing. The article also never stated how long it was until the replacement arrived, or from where it came. For all we know, it could have been 5 minutes while someone ran off to storage to get it. Thanks for telling me you were “deliberately being antagonistic” so that I could report your comment for trolling! Oh by the way, John, since you seem to be too stupid to figure it out, you don’t need to hit the Enter key to manually line-wrap your post inside the edit box – believe it or not, your text will automatically wrap around according to the fixed width specified by the website’s software. Isn’t living in the future great?! not to mention that in many places in the west hospitals are under funded and under staffed, in the middle of the night they might not have had many other opertunities and in that situation some equipment is better than none. again hard to tell without knowing more but i love this particular piece of jury rigging because it is so blindingly simple and effective. My biggest question is why the cable failed. I could see a flaw in the original cable causing excess heat. Given it is on the edge would lead me to think it is the common for what ever else it is driving. Hmm, What would need a flexible cable and has enough current to do that? I am thinking a printer of some sort. The get by repair itself is worth praise tho if it is a printer I doubt it would last more than a few hours worth of printing, if that. I also have mixed feelings about if the app is life critical. If is saved some ones life and was the only option, I say good for him. I also feel if that was the case more backups or a different vendor is needed. If it was just to pacify some asshat of a Dr or nurse that did not want to walk another 20 ft to a working printer I feel sorry for the tech. I remember a few years back when were were all these stories about dodgy repairs on qantas aircraft, one of the things they found a lot of was staples used to repair ribbon cables like that. what if it was a life saving device? What if it was the only one available, and if it wasn’t fixed, the patient would die? What if that staple saved someones life, and even though it might not be 100% reliable, it was 100% certain the person would die without that machine? Surely everyone remembers Little Nemo! I totally dig the art of Windsor McKay! Probably fewer folks remember “Dream of the rarebit fiend”. Oops! Spelling. It’s Winsor McCay. Likely some pill dispensing machine. Complicated test equipment wouldn’t use ribbon like that. Wish there was a video for the wind machine, I’ve not heard of those before. I’ve had to repair a few similar ribbons for a friend who owns a coffee shop, the panel with the buttons for dispensing the water were damaged. Luckily if you’re quick and accurate you can solder a piece of kynar to it. It was not life support or anything like that. This was for a centrifuge. They just needed to spins samples, but to a doctor in the hospital everything is critical. I am very good at my profession, and in know way put somebody’s life in danger. It was also a simple brake. The burn is from me tried to solder with low heat, but I couldn’t hold my hand steady enough for the touch. It was not life support or anything like that. This was for a centrifuge. They just needed to spin samples, but to a doctor in the hospital everything is critical. I am very good at my profession, and in no way put somebody’s life in danger. It was also a simple brake. The burn is from me. 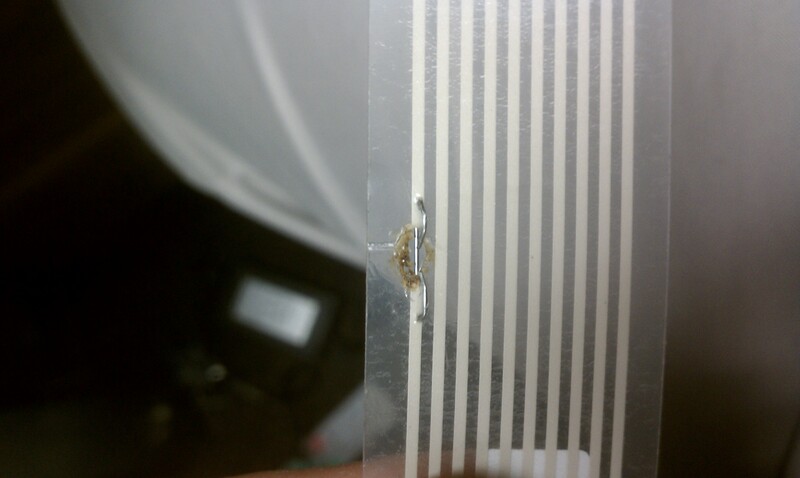 I tried to solder with low heat, but I couldn’t hold my hand steady enough for the touch. My name is spelled ‘William’, not ‘Willaim’ ;) but it’s nice to see it on here!